La Réserve Royale was conceived in northern Belgium – in Halen – , within the walls of the avant-garde brewery where our famous Master-Brewer has already created and brewed some of today’s best beers. It took nearly two years of experimentation to find the perfect balance of malty and hoppy notes. Particular attention was paid to effervescence in order to obtain the finest bubbles and a light head. It also contains barely any fruity notes – something that is quite rare in a bottled beer. An ingenious blend of the best quality ingredients and an intimate knowledge of advanced traditional brewing techniques breathed life into La Réserve Royale, a beer of such impeccable style and breeding that is indeed deserving to be labelled “a noble product”. Therefore, it is to be produced in extremely limited quantities. 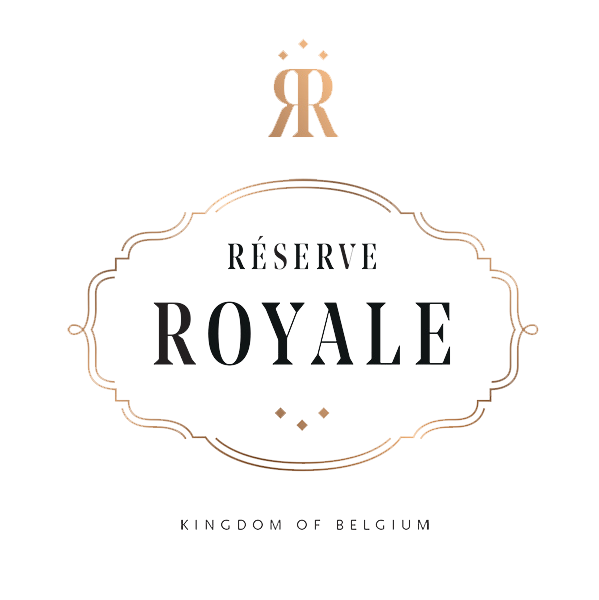 Produced using 100% Belgian and local ingredients, La Réserve Royale is brewed from the best malts in the world and a blend of aromatic hops produced by small family operations that place the emphasis on quality and tradition. Unlike industrial beers that are produced by bottom fermentation, Réserve Royale is brewed by top fermentation – a traditional technique that is seen as a sign of quality and is easily recognisable to connoisseurs. Once bottled, the beer is fermented again for 20 days in a dark, humid room heated to 25°C. The bottles are then left to rest for 2-3 months in cool surroundings to complete the beer maturation process. This two-step brewing technique, incorporating both top fermentation and bottle fermentation, obtains the most complex and richest of aromas, worthy of accompanying even the most refined of dishes.